1627: First recorded European sighting of the South Australian coast. 1802: South Australian coastline mapped by Matthew Flinders and Nicolas Baudin. 1802 (Circa): Unofficial settlement of Kangaroo Island by sealers. 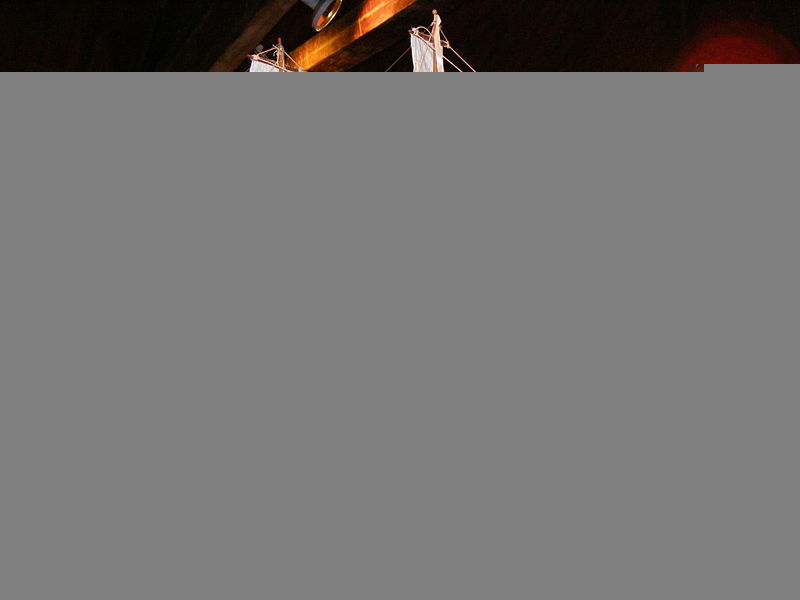 1830: Captain Charles Sturt travels to the mouth of the Murray River in a whale boat. 1831: Captain Collet Barker explores the Adelaide Plains and climbs to the summit of Mount Lofty. 1836: The site for Adelaide is chosen by Colonel William Light beside the River Torrens as Australia's first free colony. Governor John Hindmarsh on the HMS Buffalo lands at Holdfast Bay and proclaims the new colony of South Australia on December 28. 1837: Colonel Light completes the survey of Adelaide and designs the city's grid layout. Single-acre allotments (4,000 m2) are made, first to holders of land orders and then by auction. The city's first hospital opened on North Terrace. The first regional town - Gawler - is founded north of Adelaide. 1838: The South Australian Police, the first police force in Australia, is formed in Adelaide (28th April). (My Personal note: I believe the best police force in the nation.) The first German immigrants arrive and settle in Adelaide and it surrounds. 1839: Colonel William Light dies at Thebarton and is interred in Light Square - a memorial will be built over the grave. Port Road opens as the first road built in South Australia. Edward John Eyre begins his explorations of the Flinders Ranges and beyond. 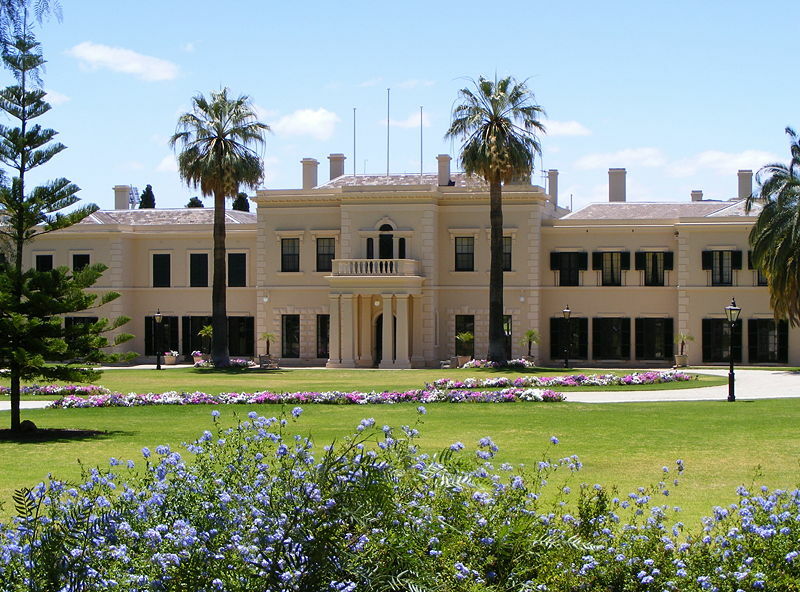 1840: The first portion of Government House is completed, becoming the first in Australia. The Corporation of Adelaide is founded as the first municipal authority in Australia, and James Hurtle Fisher is elected mayor. An agricultural show, which will become the Royal Adelaide Show, is first held in the yard of Fordham's Hotel in Grenfell Street. 1841: Construction begins of Adelaide Gaol, and the first section is completed. The Adelaide Hospital later to be known as the Royal Adelaide Hospital is opened. 1843: The first Legislative Council building is opened on North Terrace. 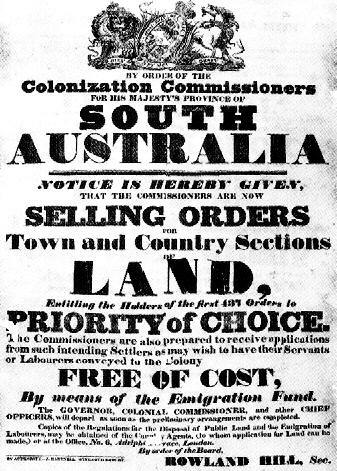 1844: The colonial Government takes control of the Corporation of Adelaide. 1847: St Peter's College is established. 1848: Pulteney Grammer School is established. The Savings Bank of South Australia begins trading from a room in Gawler Place. 1849: City Commissioners are nominated to manage Adelaide. 1850: G.P. Harris and J.C. Lanyon, the forerunner to Harris Scarfe, opens on Hindley Street. 1851: Responsible Government is introduced to South Australia, enfranchising wealthy male colonists. 1852: The Corporation of Adelaide is reconstituted and James Hurtle Fisher again becomes mayor. The first overland transport of gold arrives in Adelaide. 1856: The South Australian Institute is founded, from which will derive the State Library, State Museum and the Art Gallery. The first telegraph line and steam railway between Adelaide and Port Adelaide are opened. 1857: Adelaide Botanic Gardens opens at today's site in the Parklands off North Terrace. Railway between Adelaide and Gawler was opened. 1858: The Melbourne-Adelaide telegraph line is opened. 1859: A jetty more than 350 metres in length is constructed at Glenelg. It has a wooden lighthouse at its end, which will later be destroyed by fire. 1860: Thorndon Park Reservoir supplied water through new reticulation system. 1861: East Terrace markets opened. 1863: First gas supplied to city. 1865: Bank of Adelaide founded. 1866: The Italianate Adelaide Town Hall is opened. 1867: Prince Alfred, Duke of Edinburgh, make their first royal visit to Adelaide. Gas Street Lights first appear on Adelaide streets. 1869: The City Market later to be known as Central Market is opened on Grote Street. 1870: Port Adelaide Football Club established. 1872: The General Post Office opened. Adelaide became the first Australian capital linked to the Imperial London with completion of the Overland Telegraph. 1873: First cricket match played at Adelaide Oval. 1874: The Adelaide Oval officially opened. (My Personal note: I believe the best Oval in the world, until recently, when they removed a historical stand for the prospect of earning more money in the future.) The University of Adelaide founded. 1876: Adelaide Children's Hospital founded. 1877: The Adelaide Bridge across the Torrens completed. 1878: First horse-drawn trams in Australia commenced operations in the city . Port Adelaide railway extended to Semaphore. 1879: Foundation stone of the University of Adelaide laid. 1881: The Art Gallery of South Australia opened by Prince Albert Victor. Ornamental Torrens Lake created following construction of weir. 1882: First water-borne sewerage service in Australia commenced. The City Baths opened on King William Street. 1883: Adelaide Zoological Gardens opened. 1884: Adelaide Trades and Labor Council inaugurated. Largs Bay Fort opened. 1885: The Adelaide Arcade opened. Flinders Column erected at the Mount Lofty Summit. 1887: The Inter-colonial Express starts running between Adelaide and Melbourne. Stock Exchange of Adelaide formed. 1889: School of Mines and Industries opened on North Terrace. 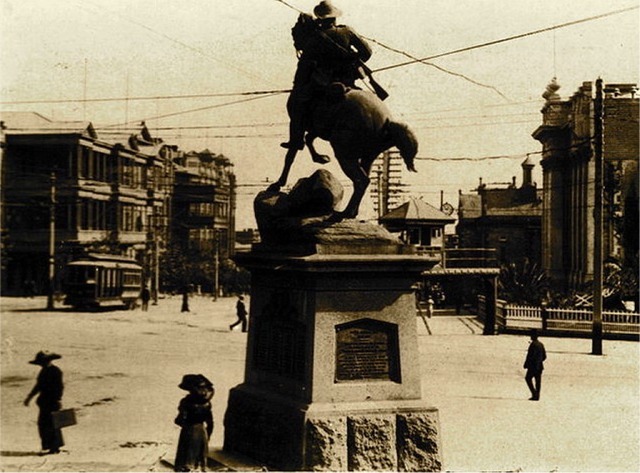 1890: Adelaide's first public statue, Venus, is unveiled on North Terrace. 1893: The Australian Association for the Advancement of Science meets in Adelaide - credit is universally accorded to Colonel William Light for his selection of the site and for the design of Adelaide. 1894: The world's second Act granting women suffrage is passed in Parliament House on North Terrace. 1896: Moving pictures are shown for the first time in South Australia at Theatre Royal on Hindley Street. Happy Valley Reservoir is opened. 1899: The South Australian contingent left Adelaide for the Second Boer War.